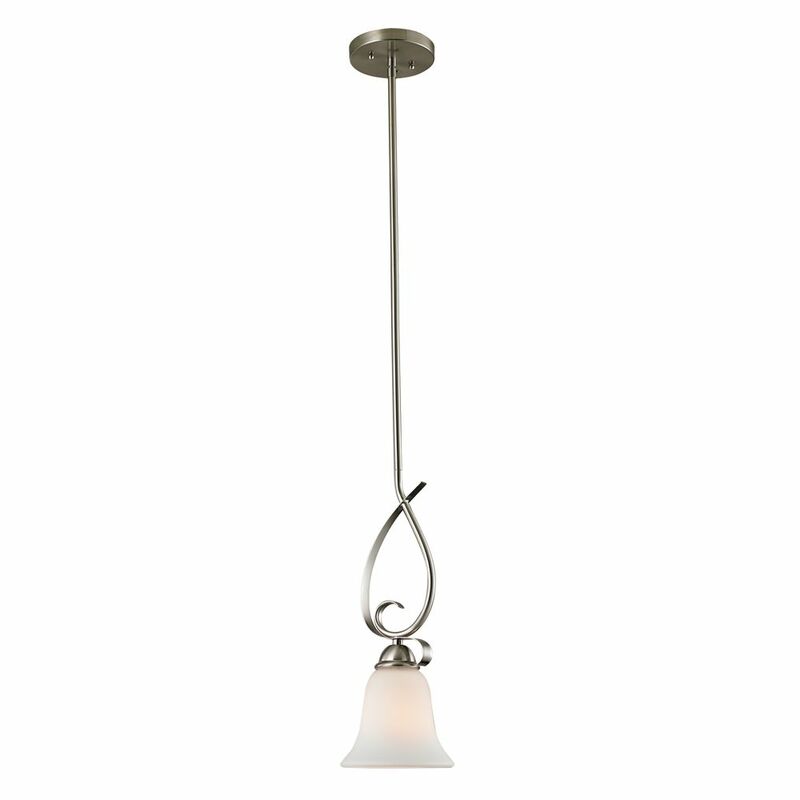 This 1 light pedant features a white frosted glass shade to cast a warm light in your living areas . The fixture is in a brushed nickel finish which matches most home styles. The Contemporary Beauty Collection is well known for quality, style and value; this contemporary mini pendant is no exception. Expertly pairing a charming satin nickel finish and energy saving halogen bulbs, this fixture is both functional and picturesque. This well-rounded mini pendant is sure to satisfy your indoor lighting needs. This breathtaking 1 Light Mini Pendant with Satin Nickel Finish is a beautiful piece from our Checkered Collection. With its sophisticated beauty and stunning details, it is sure to add the perfect touch to your dicor. This breathtaking 1 Light Mini Pendant with Transparent Cognac Shade is a beautiful piece from our Glass Collection. With its sophisticated beauty and stunning details, it is sure to add the perfect touch to your dicor. 1 Light Mini Pendant In Brushed Nickel This elegant pendant light features a smooth flowing design with metalwork finished in brushed nickel and a beautiful white glass shade.